Commissioning Agent. Alaska State Council on the Arts. 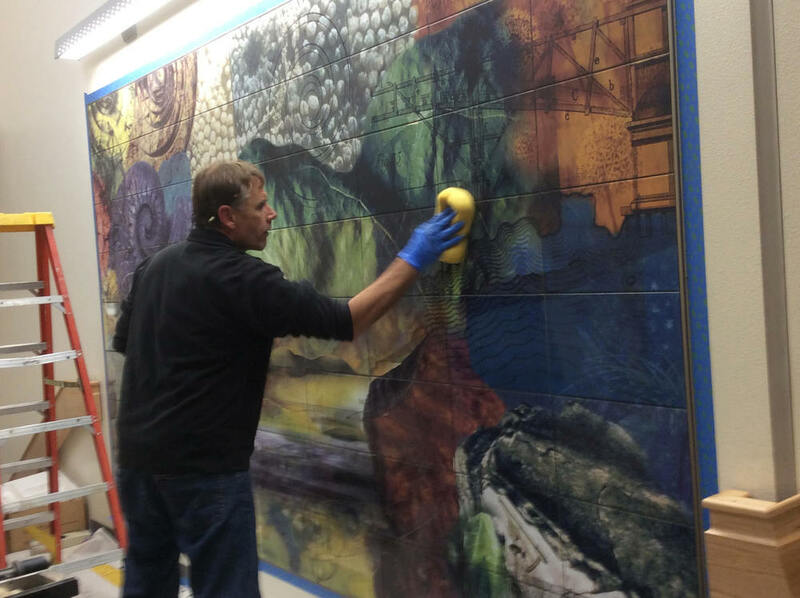 The artwork we created for the UAA Natural Science Building has its significance in the notion that knowledge is cumulative. Using geologic sedimentation and landscape metaphorically, we assembled areas of scientific study taught in this building into an integrated visual experience. 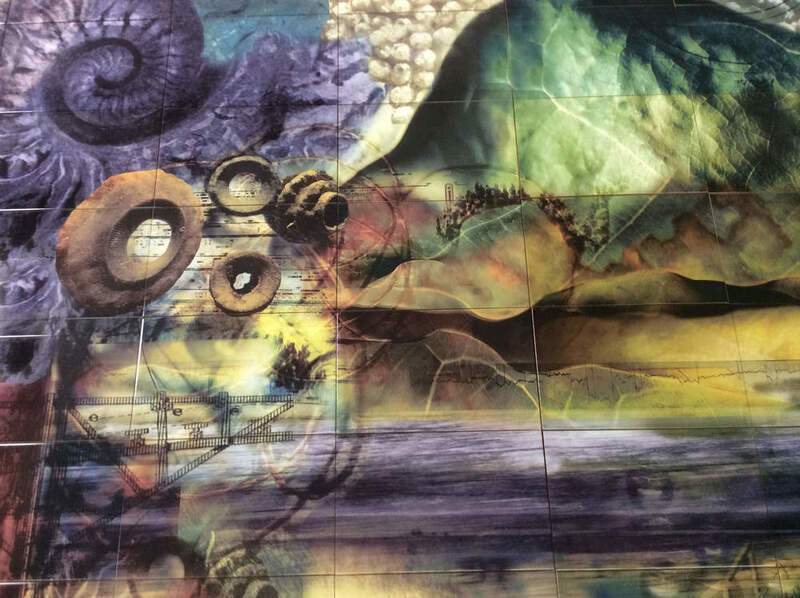 While each field is represented in this piece the conceptual strength of this artwork is supported by our visual language and collage approach showing the Natural Sciences as a whole. 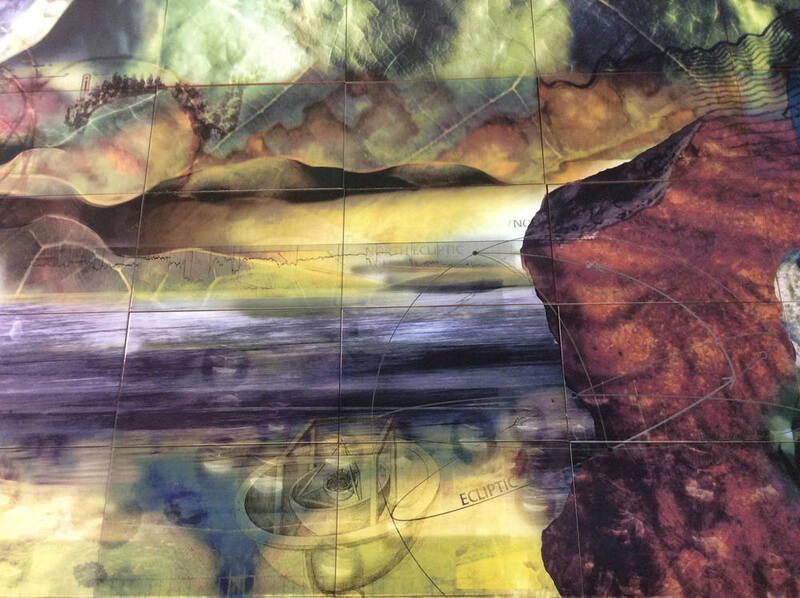 Visually layering and combining these relationships the student connects curiosity and discovery as shared principles of scientific inquiry. The integrity of our design is held together by the interaction and overlapping of the various disciplines in relation to each other and experienced as one. Natural Science Building. University of Alaska Anchorage.